NOTE: When you purchase the book directly from us, you receive your first hour of consultation at 1/2 price. Choosing a career path that is right for you can be a difficult task. But if you make the wrong choice you may feel unhappy, unfulfilled, even trapped. Finding the career path that is right for you has three EXACT ingredients: Knowing your talents, personality and purposes. This book helps you better understand how to identify these factors of success in yourself. There are precise, unique questions that will help you better understand what you need to know about yourself to make the right CAREER decision. 1. 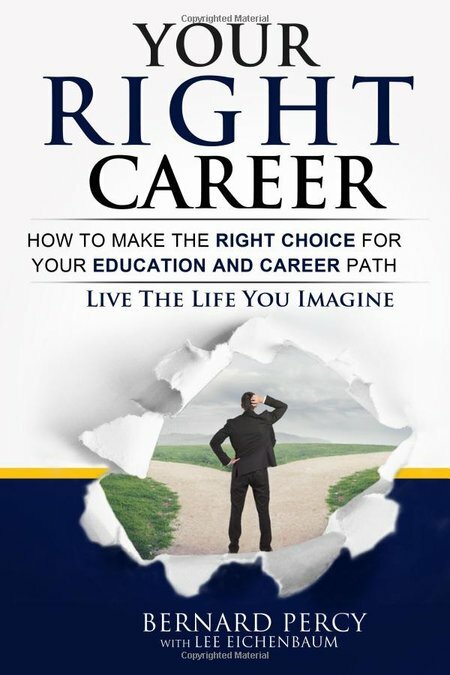 Students who are struggling or uncertain about the career and education path that would be best for them as they enter college, or are questioning should they even go to college to pursue the right path. This book is dedicated to helping you go confidently in the direction of your dreams and live the life you imagine. Everything turns out right in the end. If it isn’t right, it isn’t the end.